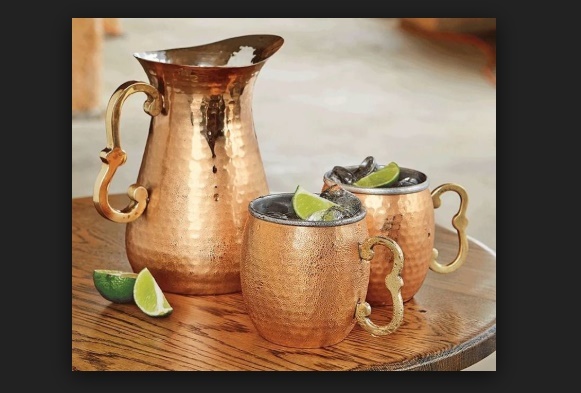 Copper has been an essential element for the body since centuries. In India, people have used to keep water in vessels made up of copper since the Vedic period. Water was stored in a copper vessel and kept overnight. Then the first water to drink in the morning was that in the copper utensil. In Sankrit, copper is called Tamra. The copper water, also called the Tamra Jal is beneficial for fighting several toxics of the body. The metal copper has an electromagnetic energy which is called Prana Shakti, that is, the energy of Life. Drinking water that is stored for 8-10 hours in a copper vessel is extremely useful. Copper water maintains the pH level of the body and serves as a huge source of energy to fight back diseases. Arthritis patients know the pain of joints, knees and waist. Copper has certain properties that strengthens bones and joints. It is well as an anti-inflammatory agent. Copper water relieves from the excruciating pain of the body due to arthritis. The anti-oxidant property of copper maintains your skin and prevents from wrinkle and skin allergy to a good extent. It also slows down the formation of fine lines. It’s true, nothing can defy age, but copper can slow down the arrival of ageing. According to a study published in the Journal of Health, Population, and Nutrition back in 2012, it was found that storing contaminated water in copper containers for 16 hours at room temperature reduces the presence of the harmful microbes. It was inferred in the paper that “copper holds promise as a point-of-use solution for microbial purification of drinking-water. Again, another study carried on by the University of South Carolina found that “Antimicrobial copper surfaces in intensive care units (ICU) kill 97% of bacteria that can cause hospital-acquired infections”. Copper stimulates the synthesis of phospholipids that are essential for the formation of these myelin sheaths of neurons. Thus, a balanced amount of copper stimulates the activity of the brain. The main reason of cancer growth is the presence of free radicals in the body that breaks down the healthy cells. Copper has strong anti-oxidant agent that fight off the free radicals and prevents cells from getting oxidized. According to the American Cancer Society, copper is found to have anti-cancer agent, but the exact functionality of copper to prevent cancer is yet not known . There are various utensils available online and in the market. You can try using copper utensils for storing water. How To Insert Names Of Your Tagged Friends In Your Facebook Uploads?